Car maintenance encompasses various tasks. Apart from your vehicle’s overall performance, its appearance likewise matters. You know this well; that’s why you are searching for the best wax, particularly the best Meguiar’s wax for black cars. Waxes come in different features; therefore, it pays to look closely at each of your potential products. What are the important reasons to wax your car? A car’s life span depends on its upkeep—how you drive and maintain it. One way to maintain your car is by waxing. Aside from making your car look good and well-maintained, here are some benefits of waxing your car. Although waxing will not remove the scratches on your car, it will make them unnoticeable. It is a better alternative than removing the coat. It protects the car from the harsh effects of UV rays. Oxidation, for one, can damage the coat that protects the car’s paint. With regular waxing, peeling and discoloration of the paint slow down. Take note that washing can cause minor scratches to your car. A layer of wax can protect your car from such an occurrence. Just make sure that your car is thoroughly clean and dry before applying the wax. Remember not to overdo it; a thin layer will suffice. Grime and drippings that come in contact with your paint are oftentimes hard to remove. However, if you wax your car, you can effortlessly wash off such dirt by simple car washing. A waxed car is glossy and looks clean and new; you can drive it around with pride. When you drive it in the rain alongside a non-waxed car, it appears cleaner when both cars dry. Acid rain and other corrosive materials can damage your car’s paint. The wax on your car will block these contaminants to shield the paint and the car itself from extreme damage. When you drive fast, road debris, like small rocks can hit your car. Repainting your vehicle is quite costly. If you opt to wax your car, the tiny stones will just slide off and will not cause damage to your car. Indeed, waxing saves your car and your pocketbook as well. To prolong your car’s lifespan and save a few bucks, wax or have your car waxed on a regular basis to reap its rewards. How do you choose the best wax for your car? 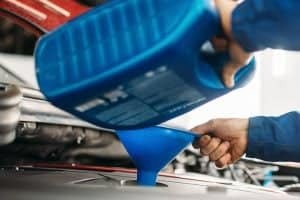 While you may find numerous reputable products on the market, you should have full knowledge of your car’s condition before making a choice. Likewise, you should know the best type of wax for your vehicle. 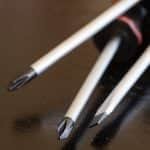 Here are the things you should consider when looking for a wax. How old is your car? If it is 1 to 2 years old, it is best to purchase a spray wax. Take note, however, that it wears out the quickest among the different types of wax. For this reason, it is advisable to do a weekly or special-occasion applications. If your car is quite old, it is best to opt for a product that has earned a high score for cleaning. Such a product could help maintain or bring back your vehicle’s finish. When it comes to cleaning, liquid waxes are the best. Waxing could help preserve your car’s finish over time. It is best to wax your vehicle, especially if you have no immediate plans to replace it. Keep in mind that waxes can be abrasive; therefore, they can leave a haze or scratches on your car’s finish. Scratches are more visible on dark-colored vehicles than light-colored ones. For dark-colored vehicles, you should be careful about products with low scores in hazing and scratching tests. The same goes for vehicles with clear-coated surfaces. Be mindful of the packaging; most of them indicate if a product is safe for clear-coat finishes. 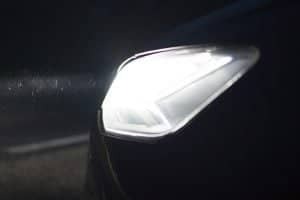 Some waxes leave a visible residue on porous and non-glossy plastic parts, such as the door trim, bumpers, and plastic body panels. 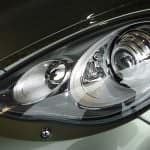 Some new cars contain a lot of them and these parts are often black or gray in color. If your car has a huge amount of plastic, choose a wax that has earned high scores in tests that check for compatibility with plastics. Meanwhile, you might need to use commercially available plastic cleaners to get rid of the wax that gets on your car’s plastic surfaces. 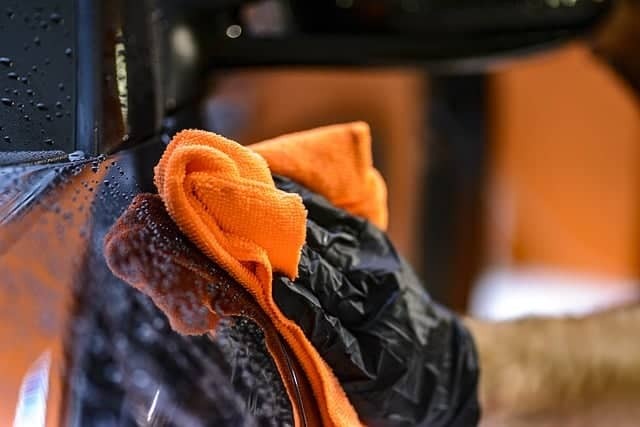 If you want to do a multiple-step process, you will have to look for a polisher to improve your car paint’s gloss and a wax that comes with a finishing wax. If you opt for a one-step process, it is advisable to choose a cleaner wax for good results with less effort and time. 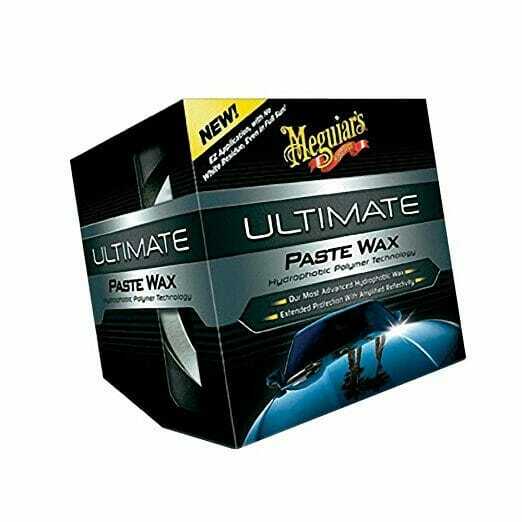 If you are looking for a wax that is easy to apply and remove, even in full sun, Meguiar’s G18211 Ultimate Paste Wax might be the best option for you. Such a feat is made possible by Meguiar’s ThinFilm technology. It also features advanced, synthetic wax polymers for more protection and amplified reflectivity. The product suits any type of paint, including clear coats. It has the capacity to enhance the depth and color of a vehicle’s paint. It becomes more beneficial to you if you have another car of a different color. Hydrophobic polymer technology increases surface tension. Being a pure synthetic, the product provides long-lasting protection. It, likewise, delivers deep, dark reflections and a glossy look without compromising safety on various paints and clear coats. Meguiar’s G18211 Ultimate Paste Wax seems to lack durability; it easily comes off after the first rain. It has a food-like smell. While it smells good, it can be dangerous for kids who might find and try to eat it. Getting more uniformity may be challenging and may require extra effort from the users. You can apply the product by using a hand, orbital, or dual action polisher. This product may be the best choice for you if you want something that does not make use of colorants or dyes. 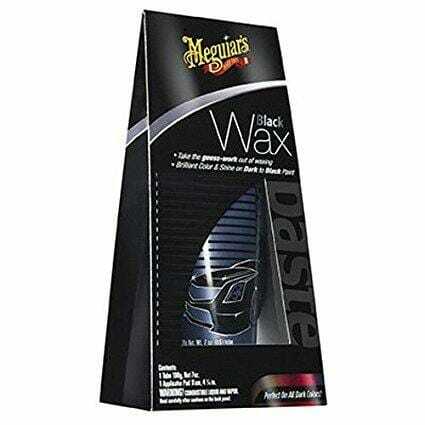 Meguiar’s G6207 Black Wax Paste uses polishing oils, micro polishing agents, and specially blended polymers that provide gloss and deep rich finish. This wax paste might be good for your car because it has the capacity to provide long-lasting protection specifically aimed for black and dark colored paints. The wax protection it offers lasts for months, but is easy to apply and remove at the same time. Another great benefit of this product is that its job does not end in waxing. It can also do cleaning and sealing tasks. Additionally, this may be a good option for you if you have an old car and you aim to make it look new. Meguiar’s G6207 Black Wax Paste also comes with a hand applicator pad. You can apply the product by using Hand, DA Power System G3500, or DA Polisher MT300. It tends to be a little challenging to use. It does not produce the slick mirror appearance that the Meguiar’s Gold Class and Ultimate Wax lines do. It has the tendency to leave a greasy film. If a promising product armed with numerous benefits appeals to you, Meguiar’s M6 Mirror Glaze Cleaner Wax may indeed be a good choice. Looking for a multifunctional product? If so, you may want to try this Meguiar’s product. Apart from waxing, it also polishes and shines your vehicle. It is an all-in-one step; therefore, you won’t have to exert too much effort. Consequently, you get to save time. It comes with built-in polishers. These built-in polishers clean up minor imperfections while taking the dirt away from the surface. You can apply the liquid formula either by hand or with a rotary polisher. Even with minimal effort, you can come up with a reflective shine. It can fix various problems. Meguiar’s Cleaner Wax can remove light twirls, light oxidation, and mild defects. It likewise has the capacity to create a high and long-lasting finish. You can use it on all paint finishes and even clear coats. What you might also like about this wax is its price. 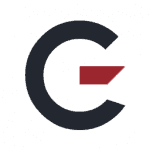 It is a cost-effective product that promises good-quality work. 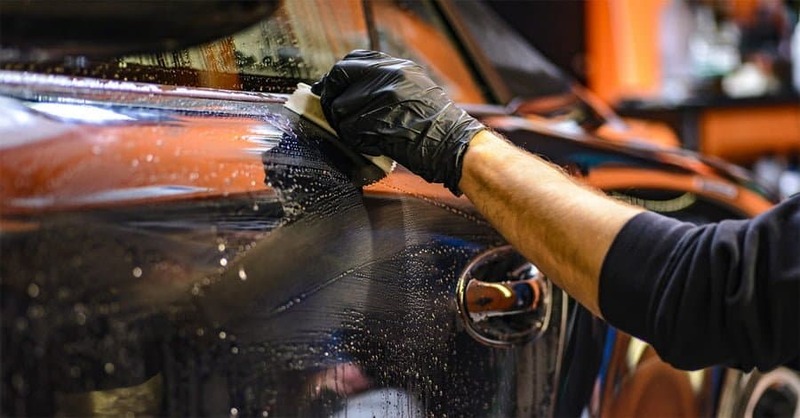 With a few minutes of work, it can make your black vehicle look new. As for its downside, the reflective shine it provides may not be enough for you, depending on your preference. Meguiar’s M7 Mirror Glaze Show Car Glaze claims to outshine other hand-applied waxes, polishes, sealants, and glazes. 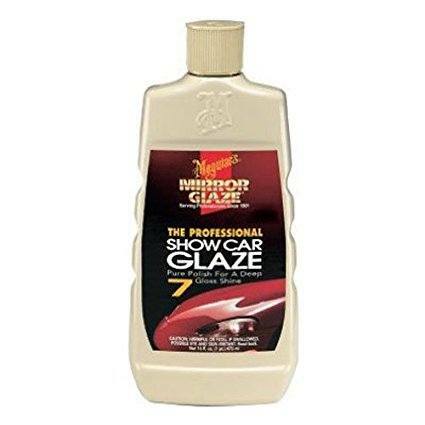 Meguiar’s M7 Mirror Glaze Show Car Glaze promises to make an old car look new. 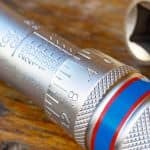 Its several thin coats can provide a deep shine. And apart from providing a shiny look to the surface of your car, it also claims to be the safest for your vehicle’s finish. It has the capacity to restore a vehicle’s deep shine and does not dry white. It works well on various finishes. While the product is best for black cars, you may also use it on all other paint finishes without compromising safety and effectiveness. You may apply it by a hand, rotary buffer, or DA polisher. 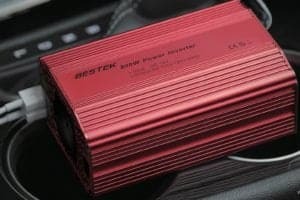 It can make a great difference to your car. It has the tendency to streak all over. It could be hard to remove, which consumes a significant amount of time. It tends to wash away easily. Meguiar’s G7716 Gold Class Carnauba Plus Premium Quik Wax is a product of a special blend of premium carnauba wax that aims to provide a rich and deep shine. You can apply it even in full sun. It is easy to use as well, allowing you to save time. You just have to spray it and simply mist-on and wipe off. It is safe and effective on all glossy paints and even clear coats. It does not leave a white waxy residue on rubber and exterior plastic, unlike other waxes. You may use it with a microfiber towel; for instance, the Meguiar’s Supreme Shine Microfiber X2020. It works well with different colors. It is exceptional on black vehicles. It has the capacity to achieve the dark, wet-looking shine that you may want for your vehicle. It has the ability to provide good quantity and quality at a reasonable price. It is ergonomically well-shaped, which may provide a good grip. This may also be a good choice if durability and long-lasting service are your main concerns. It is not advisable to use it on matte, flat, or satin finishes. Which is the best among the best waxes for black cars listed above? After taking a close look at each option, GarageChief has picked the Meguiar’s G7716 Gold Class Carnauba Plus Premium Quik Wax. 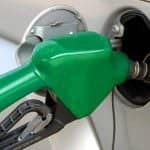 This product comes with many different benefits for your vehicle. 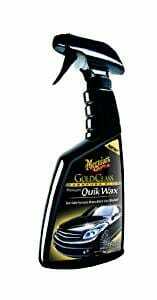 Meguiar’s G7716 Gold Class Carnauba Plus Premium Quik Wax works well and can last long. What makes it even better is the fact that it comes at a reasonable price. At present, it is hard to find a product that has the combination of a good price and high quality. Each vehicle has its own needs, depending on the traits that come with it, as well as its condition. 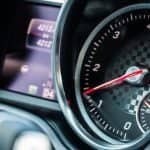 As a car owner, it is your responsibility to educate yourself on the different factors that affect your car’s maintenance process, and all other considerations to take when choosing the best products to use on your vehicle.